Hey my lovely divas! 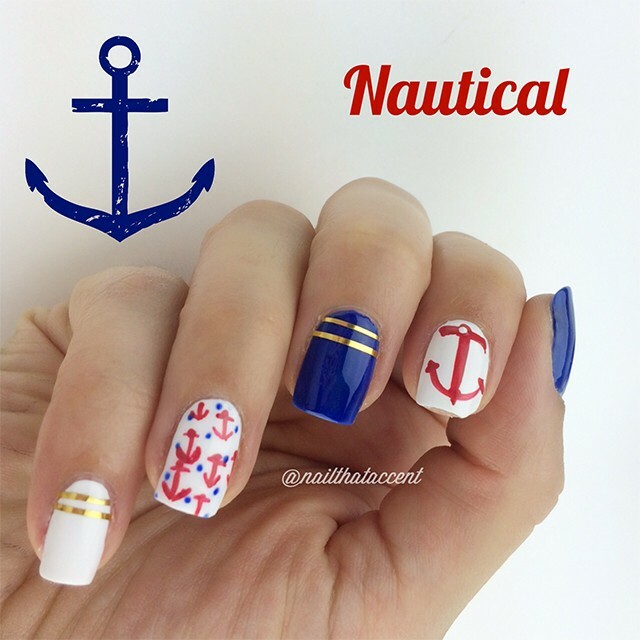 Nautical nail designs always take the stage during the spring and summer time. Take a look at your wardrobe! 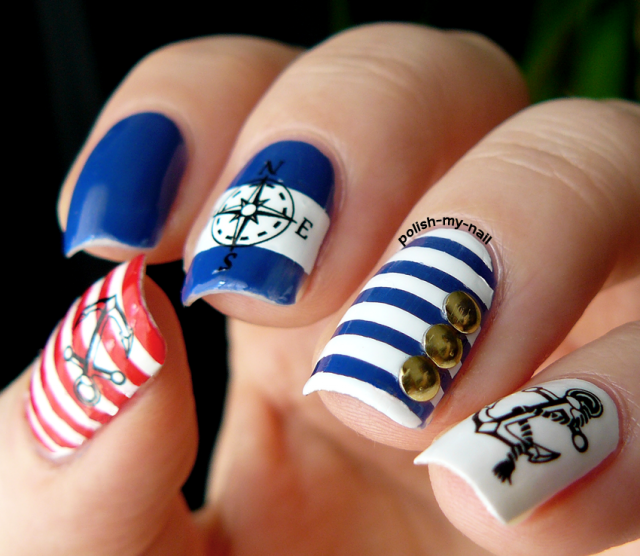 I’m 100% sure that you will find at least one nautical piece of clothes. 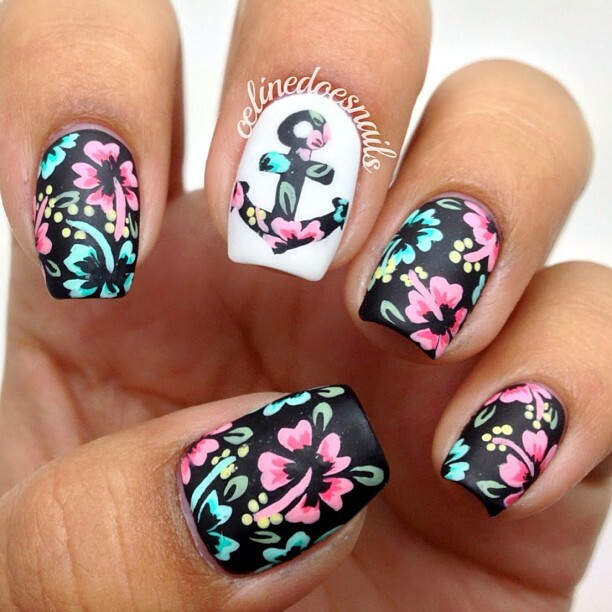 If you don’t have a nautical pattern, you should buy a dress, top or pants with that print. 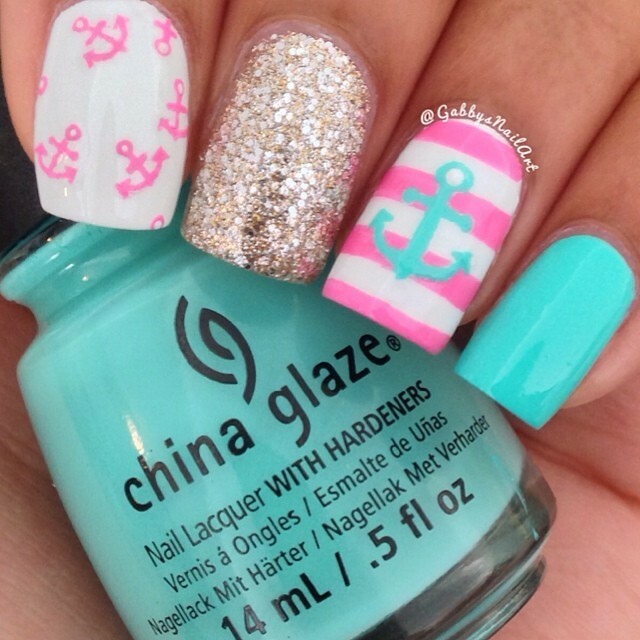 It is very easy to add it to your nails too. 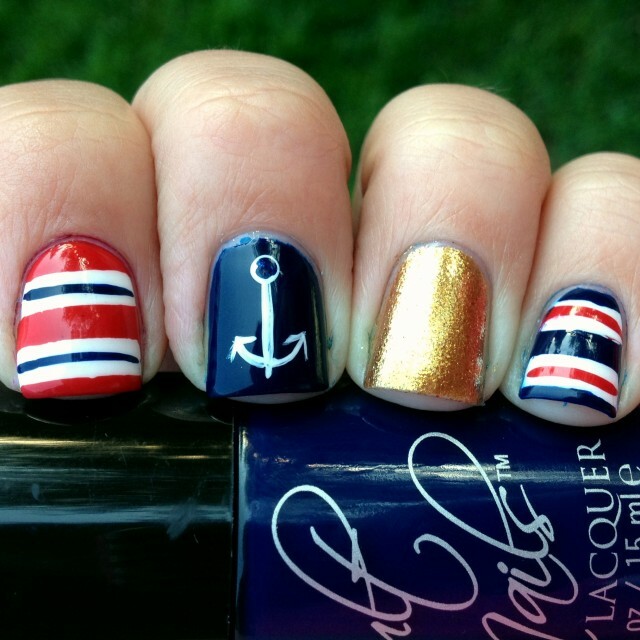 I wanted to inspire you, so I made you a collection of stunning nautical nail designs that you can copy. All of them are unique and beautiful and I hope that there will be a design for all of you. 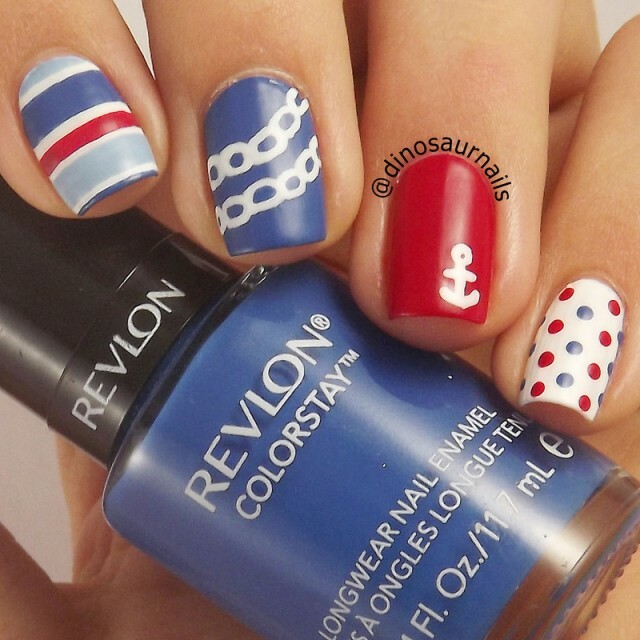 Red, white and blue are the colors that you will need for the nautical nail designs. 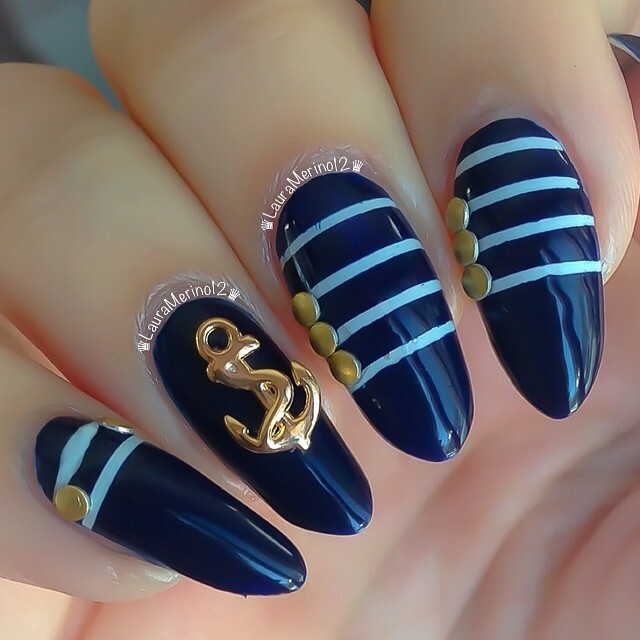 When we come to nautical symbols, the stripes, dots and anchor are the most popular and they are also added to the nails. We all know that we should not always follow the rules, but play with the colors. 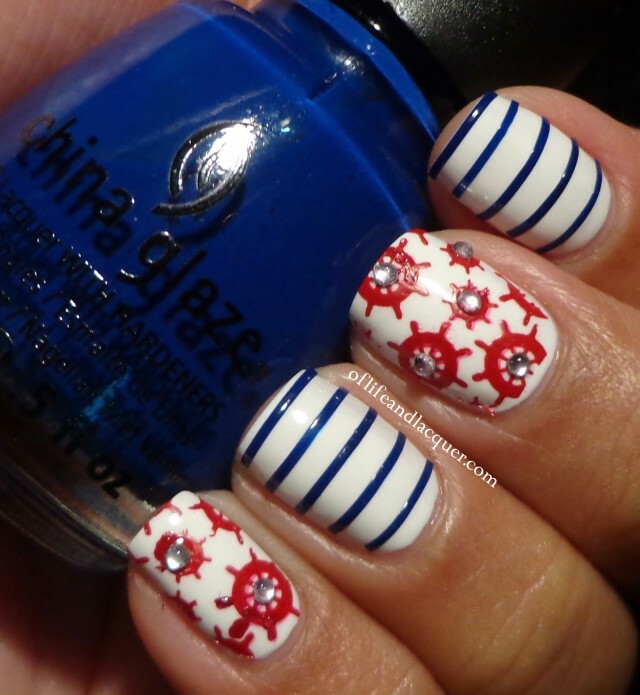 That’s mean that you can think out the box and broke the rule with blue, red and white color. 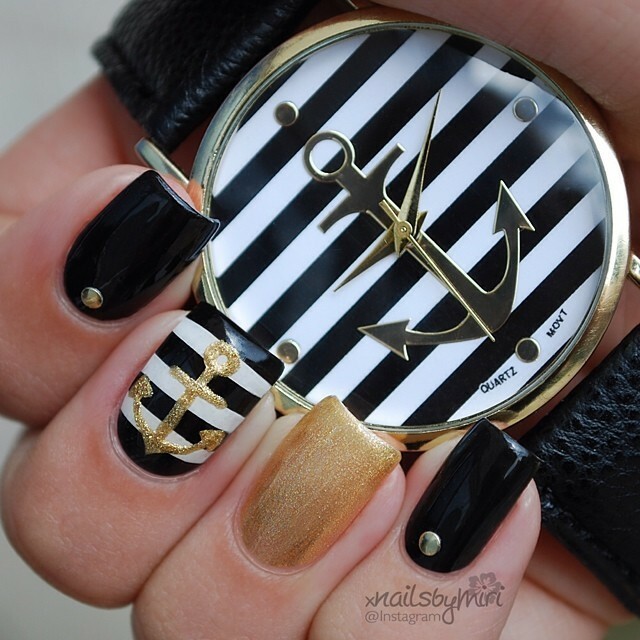 Instead of them, you can opt for black, yellow, gold, silver and pastel shades. 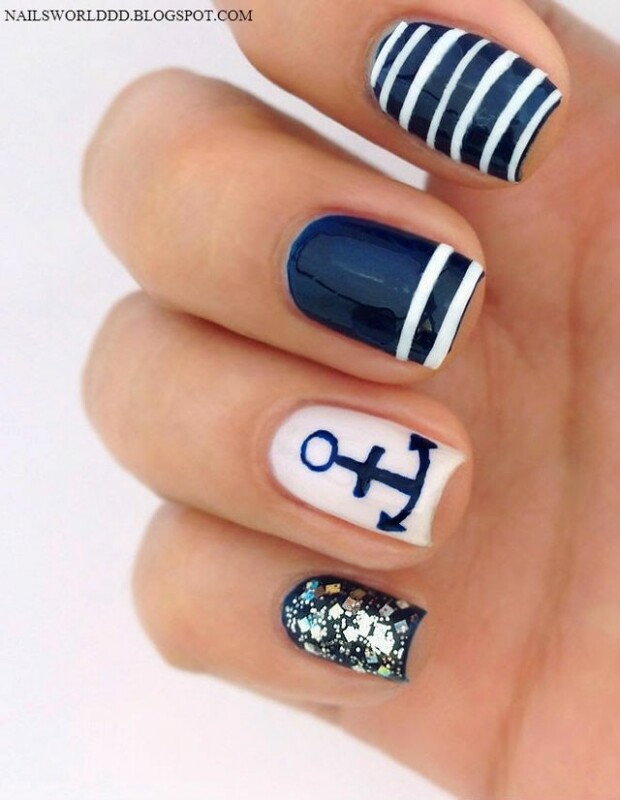 The nautical nail designs that I have chosen for you are very easy for polishing and you should definitely try at home by yourself. If you don’t have chopstick, buy one to apply the dots perfectly. For the stripes, you will need striping tapes. 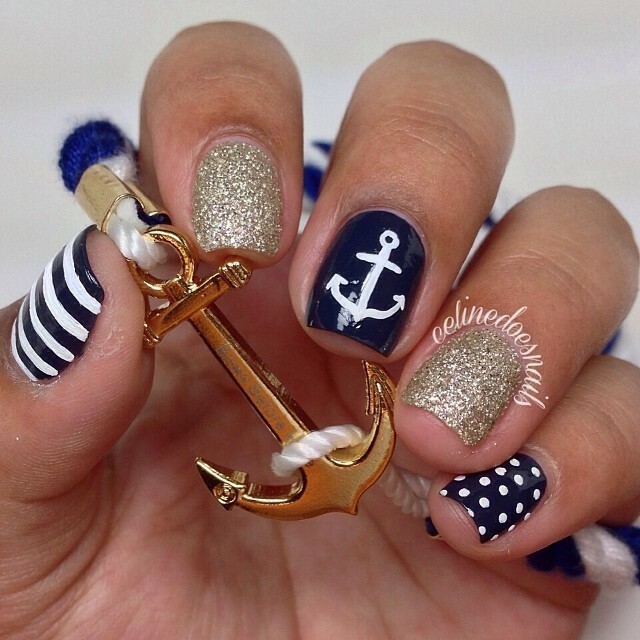 If you can’t draw an anchor on your nail, you can also buy a sticker that you can add onto your nails. 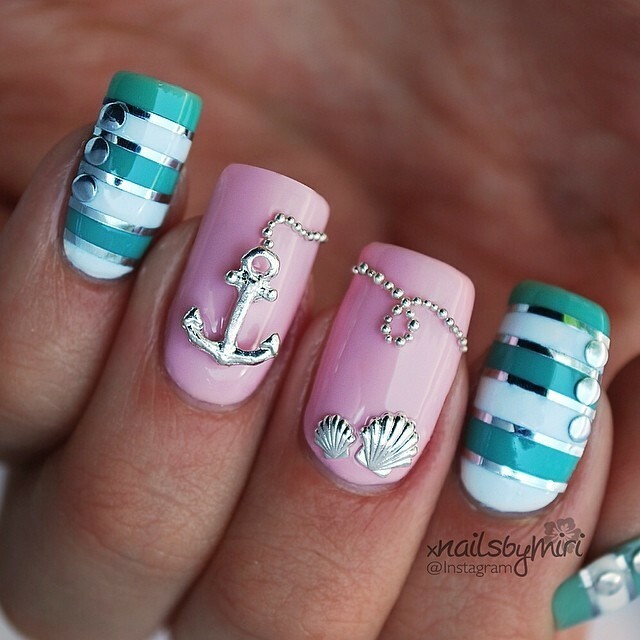 Take a look at the gallery below and pick your next nautical nail design. Enjoy and have fun! 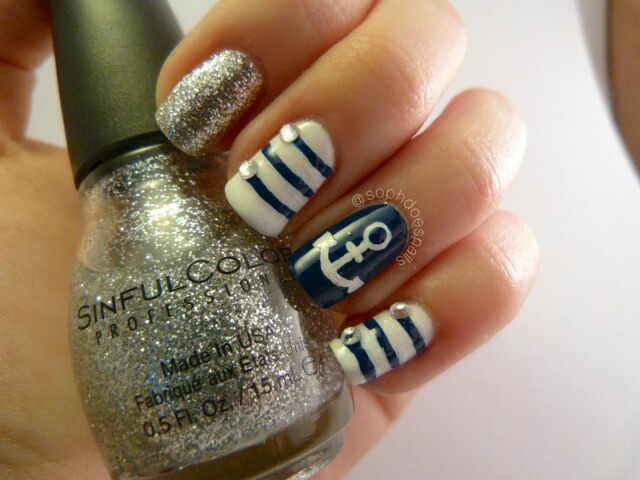 I hope that you have found these nautical nail designs fun and interesting and you will copy some of them. I really like all of them and I can’t decide which one to try out first. Which one is your favorite? 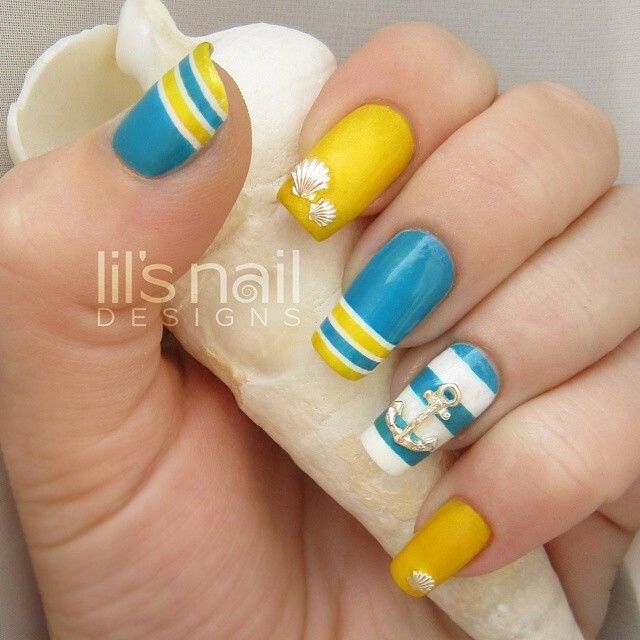 If you have some other interesting nail designs to show me, please feel free to leave me a comment below. I would love to see all of them. Thank you for reading! Enjoy in the rest of your day and stay up to date with the contents of Fashion Diva Design!